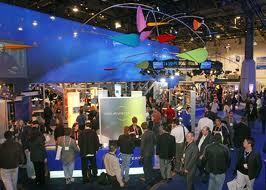 There are a number of electronics shows in California and Nevada for Spring 2013. Below is a list of some of the up-coming conferences and expos to put on your calendar. Many are still offering free visitors passes for the exhibitor and expo floors, with Early Bird discounts also available for the full conferences with tutorials and training sessions. Please use the links below to get more information on the show and details on the pricing. The goal of EDS 2013 is to strengthen your business and the electronics industry as a whole by focusing on the future. It’s time to look at where the industry is going and how new technologies can shape our industry.EDS is the premier annual event for the main players in the international electronics industry. Every year, the manufacturers of electronic components, instruments and accessories, as well as distributors and manufacturer’s representatives, come together to meet, make contacts and build their businesses. Suppliers of industry goods and services also are on hand to market their products. CTIA 2013 will continue to illuminate the future by showcasing the leaders, ideas and experiences transforming our dynamic industry. With mobile technology at the forefront of all areas of business, CTIA 2013 is the year’s must attend event. Attendees have the opportunity to hear and present groundbreaking research, share ideas, and network with colleagues and luminaries. CLEO presents a world-renowned peer-reviewed program and offers high quality content from five core event elements – Fundamental Science, Science & Innovations, Applications & Technology, Market Focus and Expo. Early bird discount pricing ends June 28, 2013. Free Visitor (Exhibition Only) passes are still available. The LED Show is a conference and exhibition focused on the fast-growing lighting design and technology segment of the LED industry. The event attracts leading LED manufacturers displaying the latest technology and products for attendees to view, compare, and evaluate. The latest in LED fixtures from multiple sources are featured on the exhibit floor enabling attendees to make informed specifying or purchasing decisions. See the Industry’s Leading Exhibitors. Visit our dedicated trade show floor, with nearly 100 exhibiting companies, displaying innovative, state-of-the-art lighting technology, and services. This is a great opportunity to discover what’s new in the fast and ever changing LED Lighting sector. A new business event designed to promote smart technologies in the large and dynamic North American market. CARTES America combines a high level conference program with international experts and a comprehensive exhibition featuring the most representative companies in the industry. They will present their latest innovative technologies in card manufacturing, payment solutions, identification and authentication solutions, mobility and digital security. They will benefit from a booming market with the potential deployment of EMV standard, the arrival of NFC-enabled mobile phones and the numerous e-government and security applications. The community relies on DesignCon to find out what the latest technologies and developments are in the industry. It is the largest meeting of board designers, and is the ONLY event to address chip design engineers’ chip/system/package challenges. This represents a unique opportunity to EDA tool providers. MD&M West — the world’s largest medical device design and manufacturing event — is your comprehensive resource for exploring the latest industry issues and developments, meeting with world-class suppliers, and discovering solutions to bring your best ideas to life.